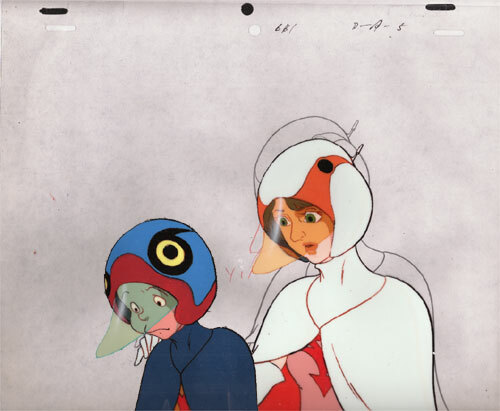 Updated 2/12/2007 Tho they were sold to me separately (but at the same time), these cels almost certainly are from the same shot. 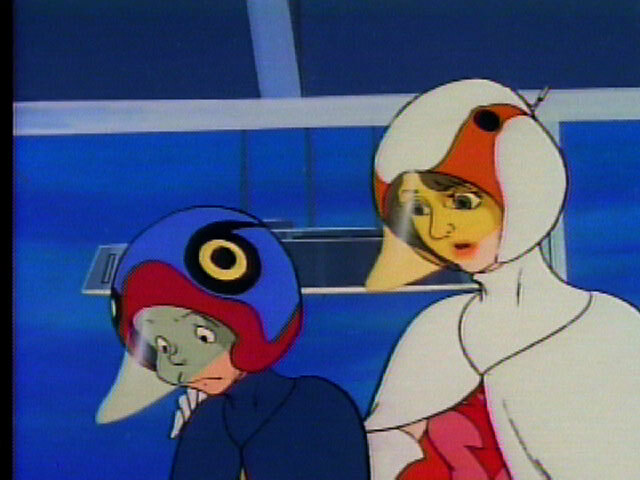 (Update: it's from Gatchaman II episode 23 "Love Vanquished at the North Pole"; see sketch 2 for the screenshot). 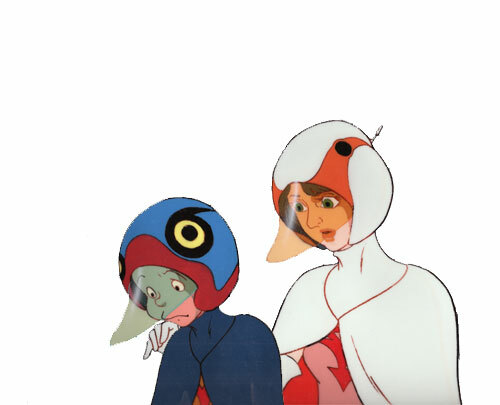 I just removed everything from the Jinpei image that wasn't Jinpei on the cel after registering the two images. See the sketch slot for the white background version from the thumbnail.